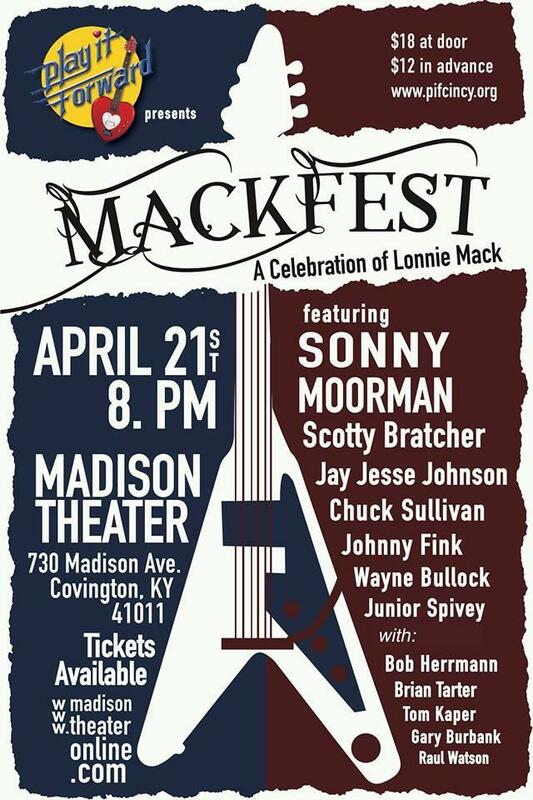 Midway through this special, Stuart Holman sits down with Bob Nave to talk about Lonnie Mack and Mackfest. Stuart Holman played with Lonnie a number of years. Bob, of course, is a musician who's been on the scene for years including his work with the Lemon Pipers and more recently the Blues Merchants. 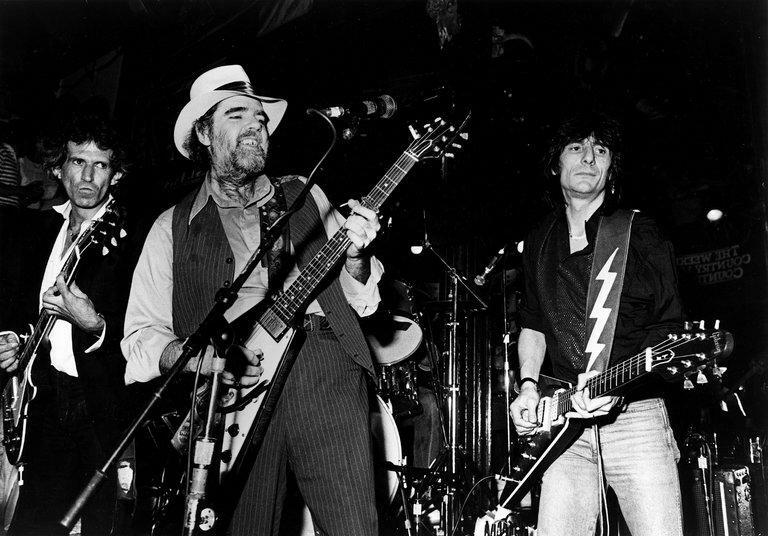 They talk about Lonnie Mack's famous Flying V guitar, Stevie Ray Vaughan, and a detailed discussion of guitars. Footnote: Lonnie Mack recorded at King Records on September 14th, 1966 with Freddie King on four songs, "Girl from Kookamunga," You've Got Me Licked," "Double Eyed Whammy," and "Use What You've Got." According to the book, King Labels, A Discography, Volume 1 compiled by Michel Ruppli, Freddie King was on vocals and guitar, Lonnie Mack, guitar, and Frank Charles was the drummer. The organist and electric bass are unknown musicians. 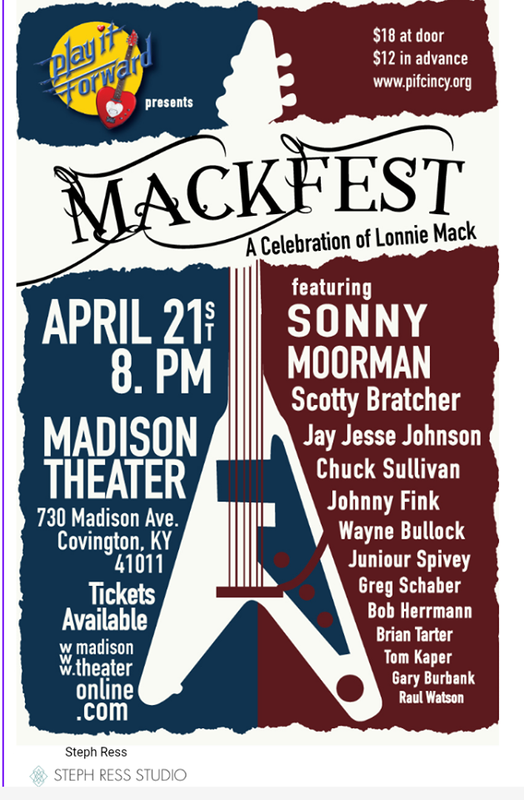 Mackfest, a tribute concert produced by Play It Forward, will be presented at the Madison Theatre in Covington, Kentucky, on Friday night, April 21st. They're expecting a big crowd, so you might want to get your tickets in advance.